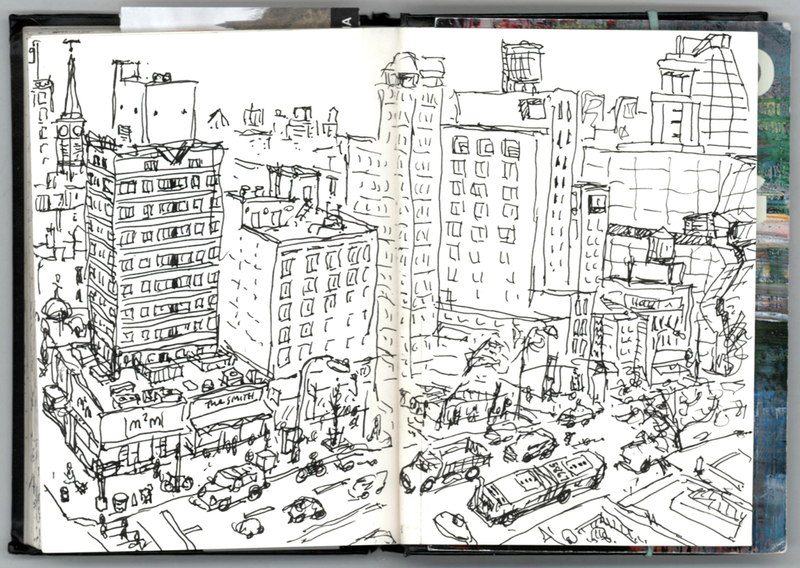 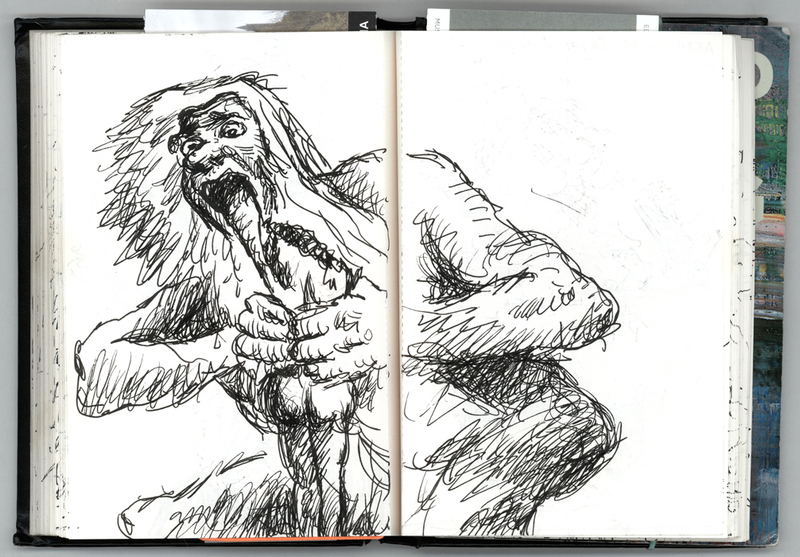 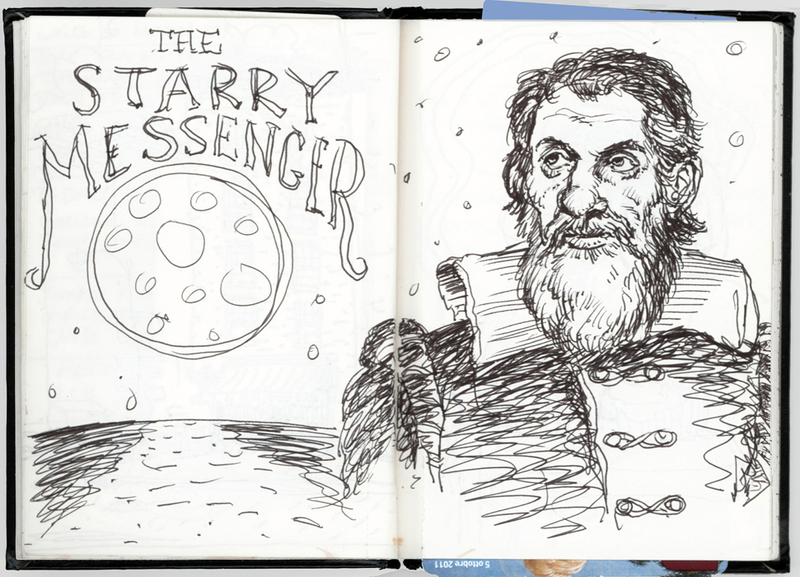 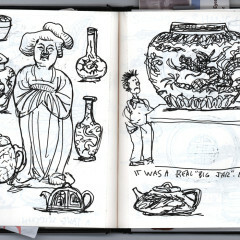 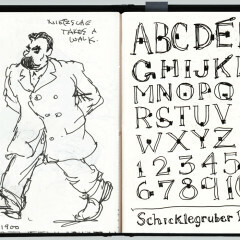 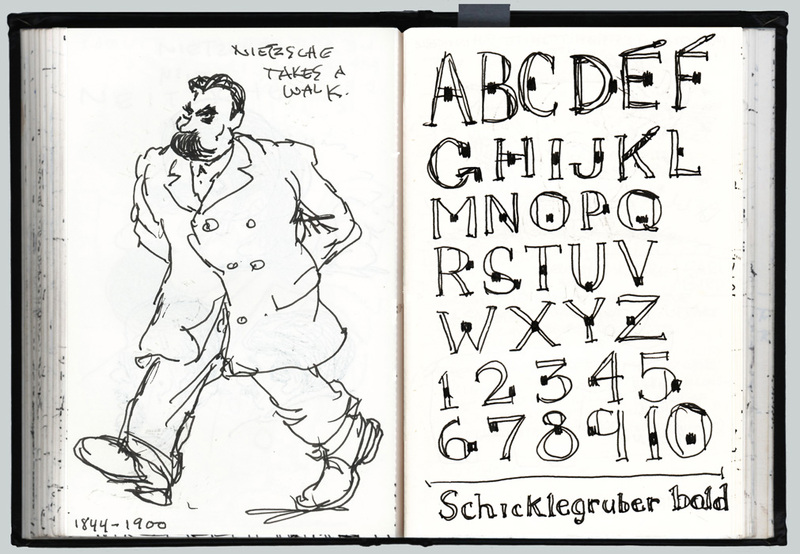 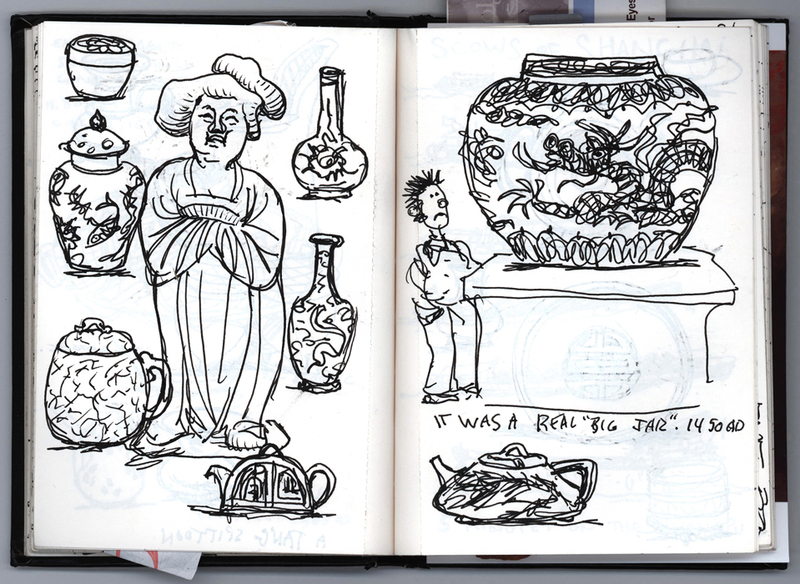 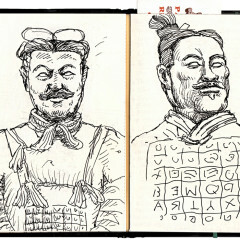 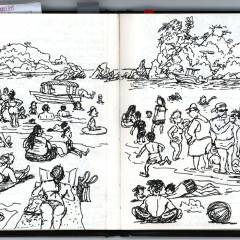 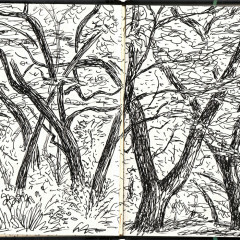 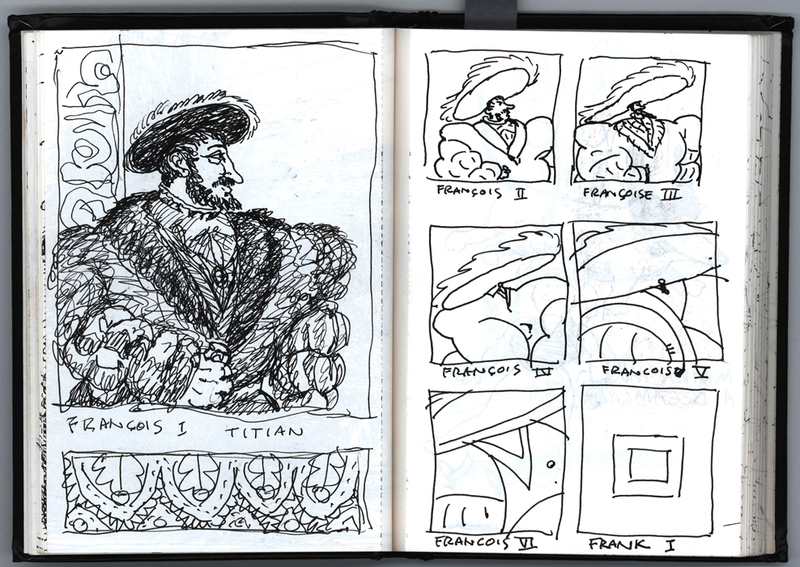 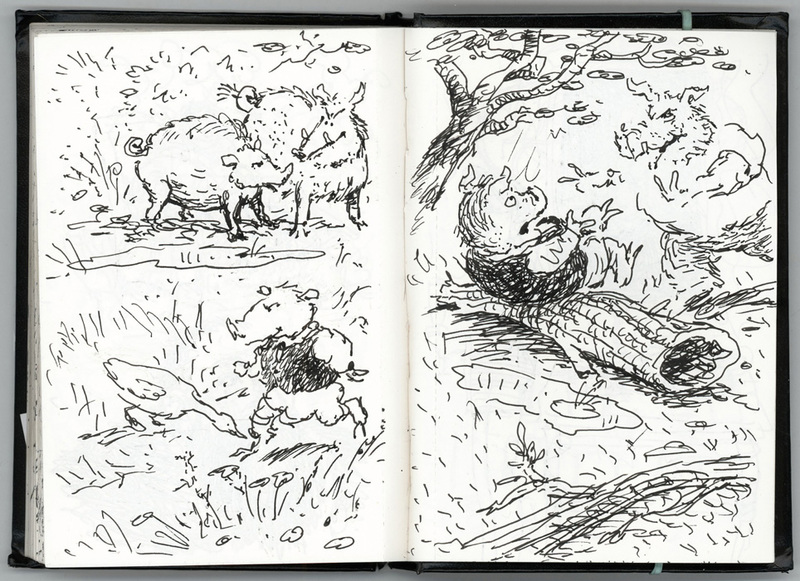 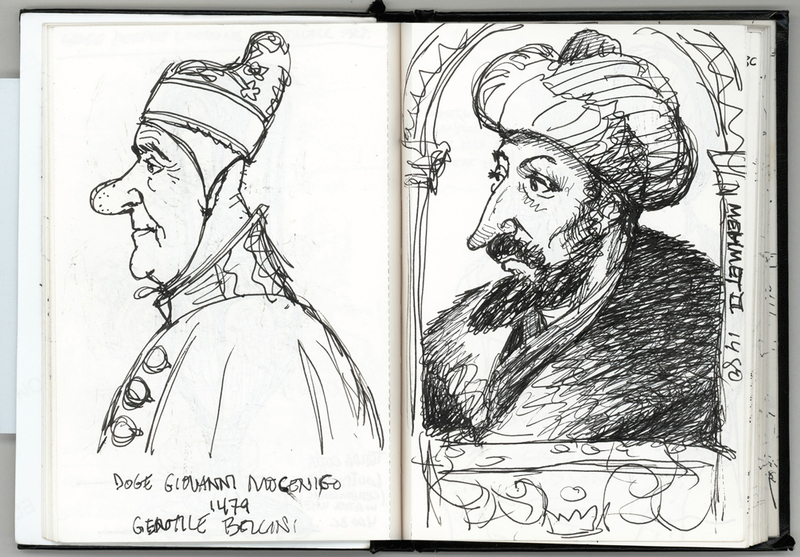 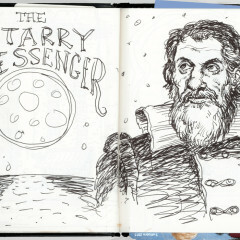 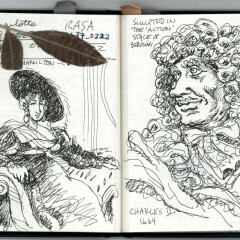 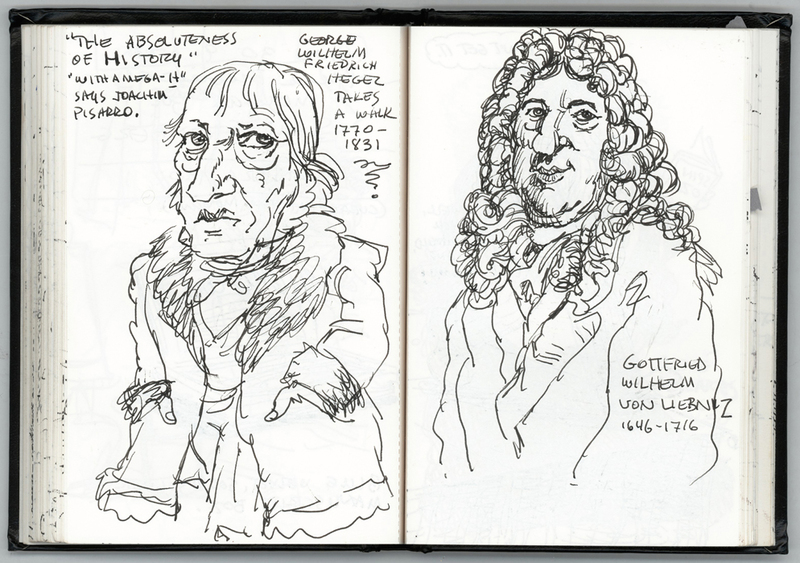 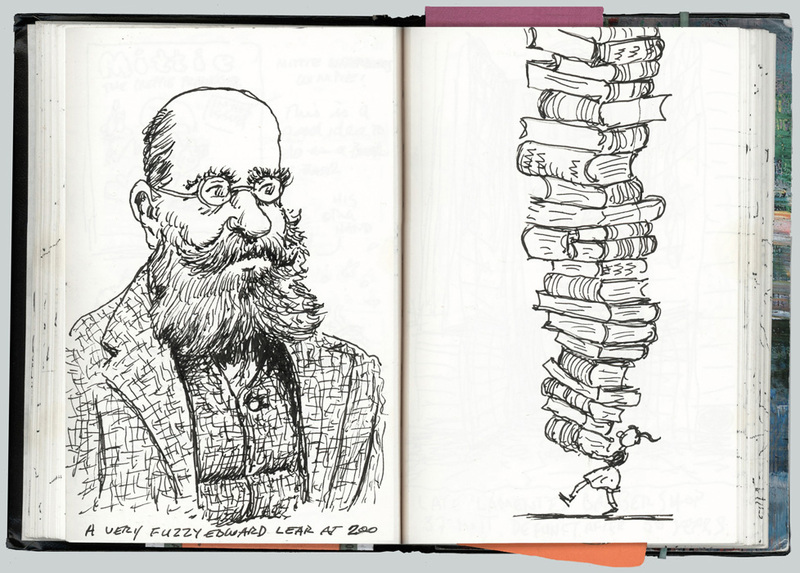 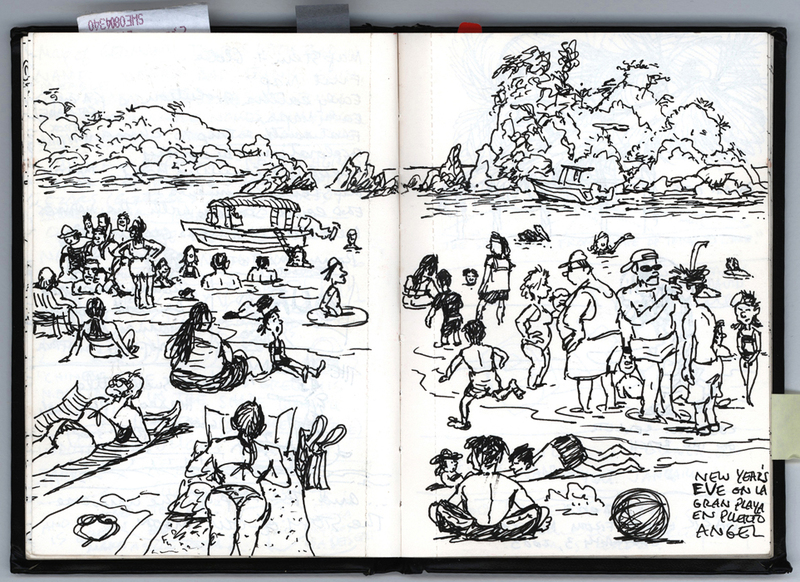 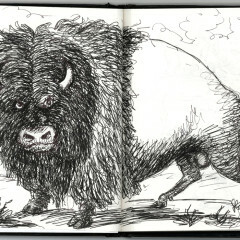 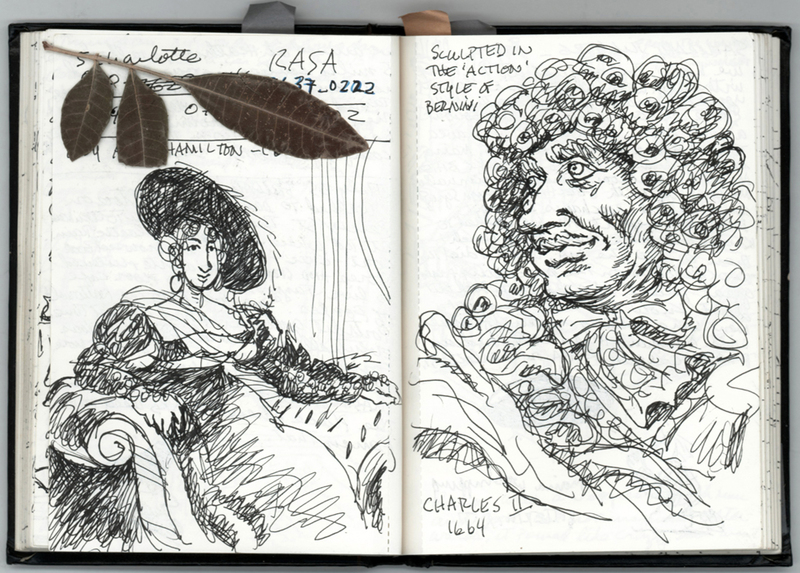 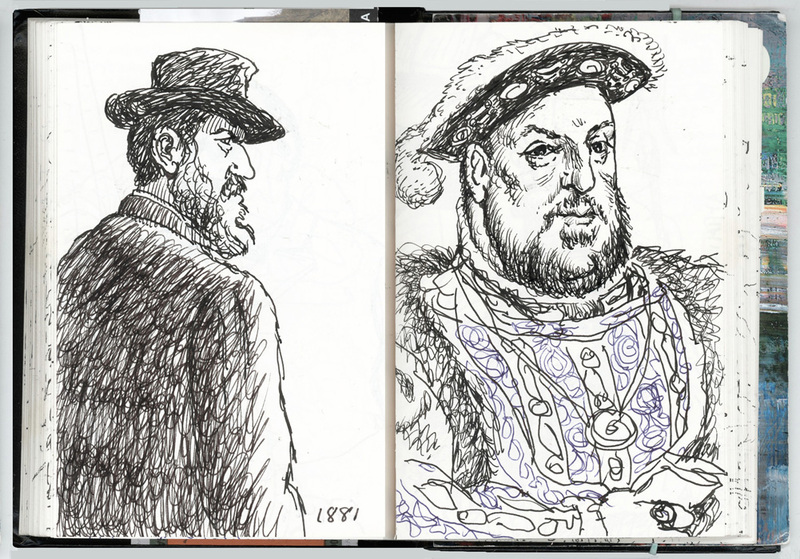 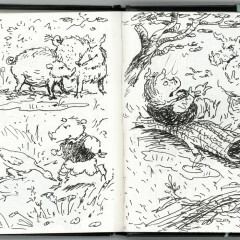 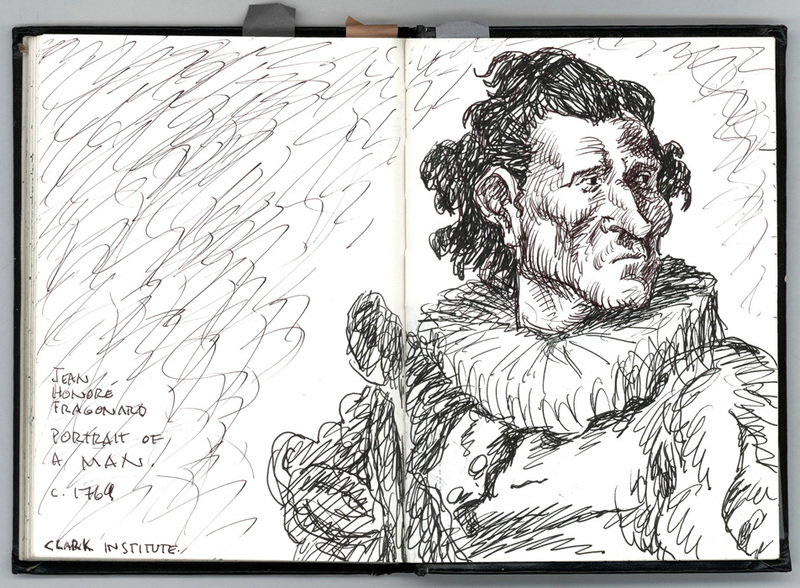 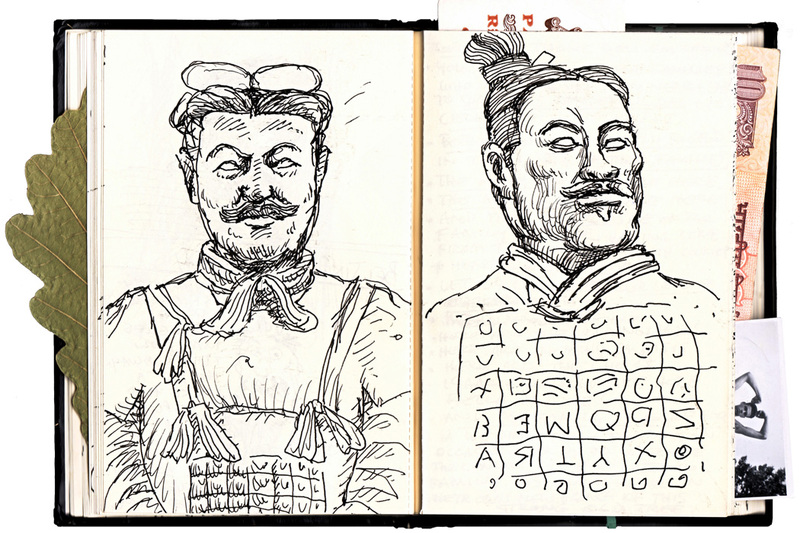 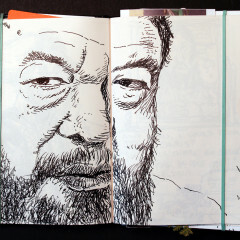 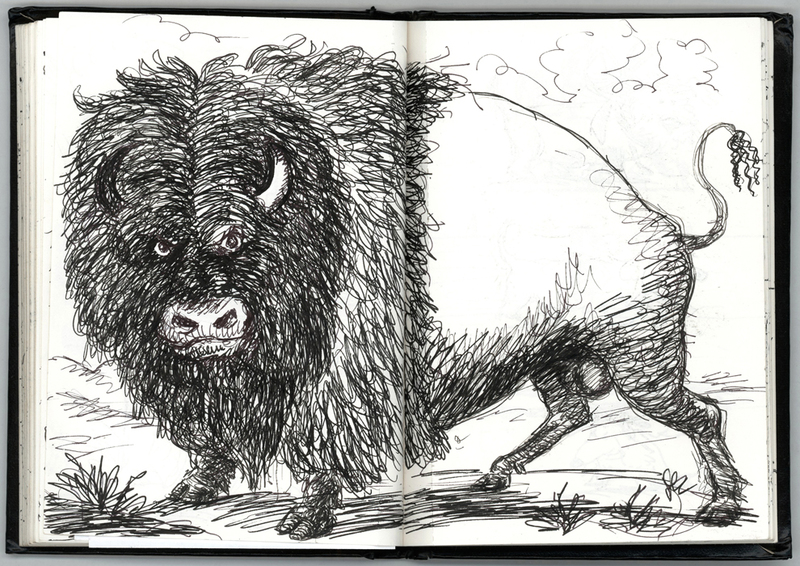 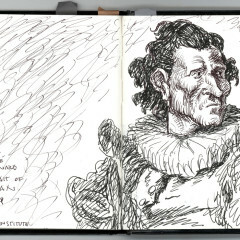 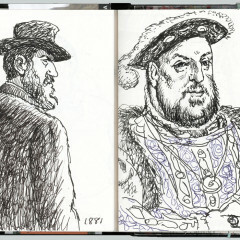 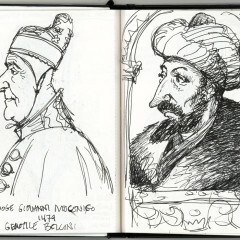 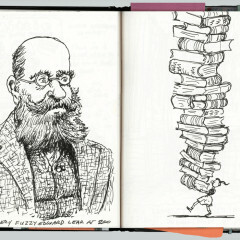 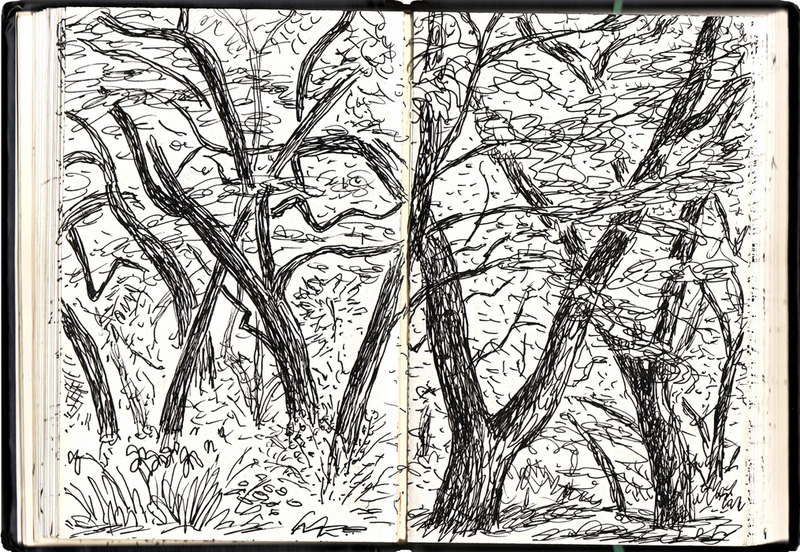 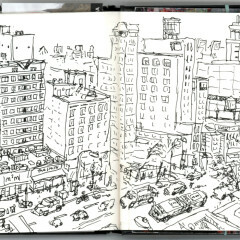 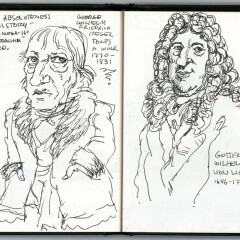 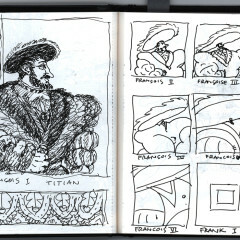 I always carry a Daler-Rowney 4 x 6 sketchbook. 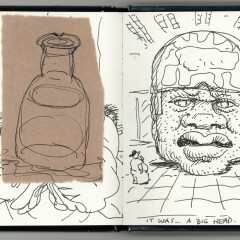 It’s not too thick, the paper is an appealing off-white, and it fits beautifully in any pocket. 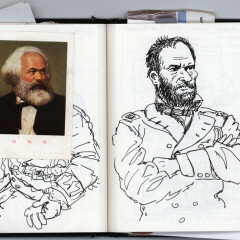 It’s great for jotting laundry lists, writing ideas and stories, jamming ephemera between the pages, and drawing anything or anybody. 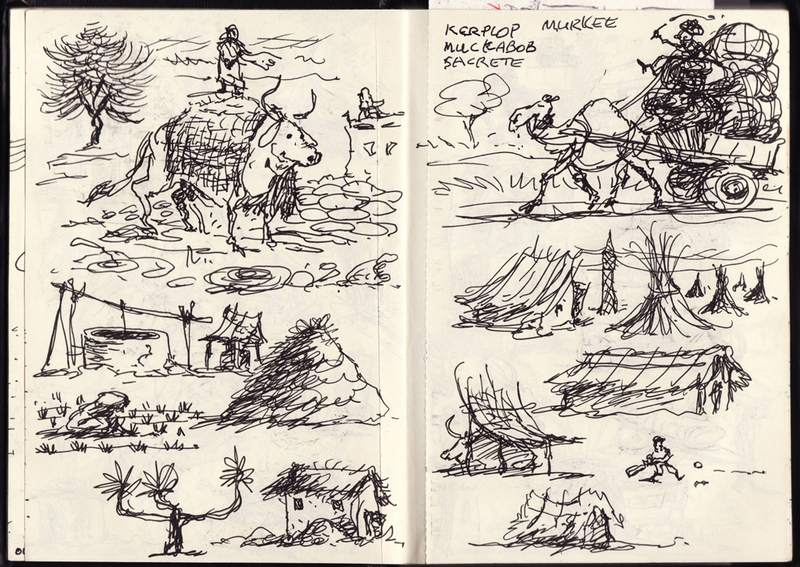 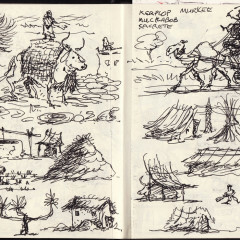 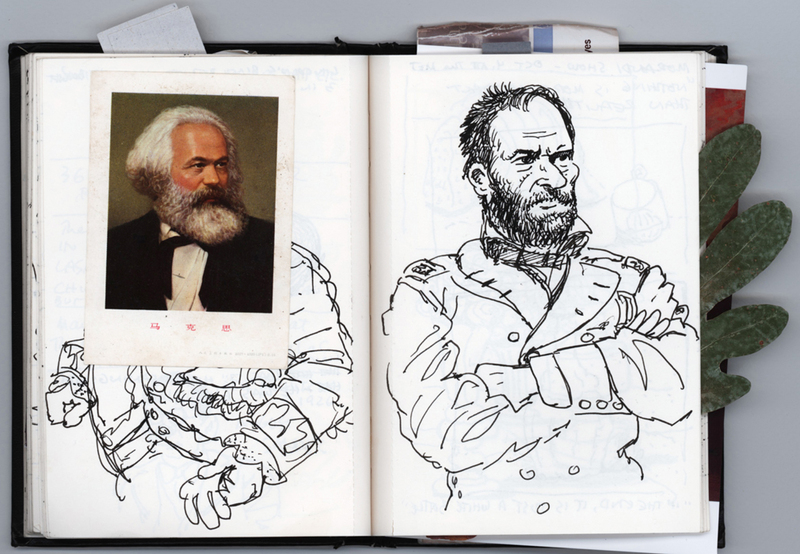 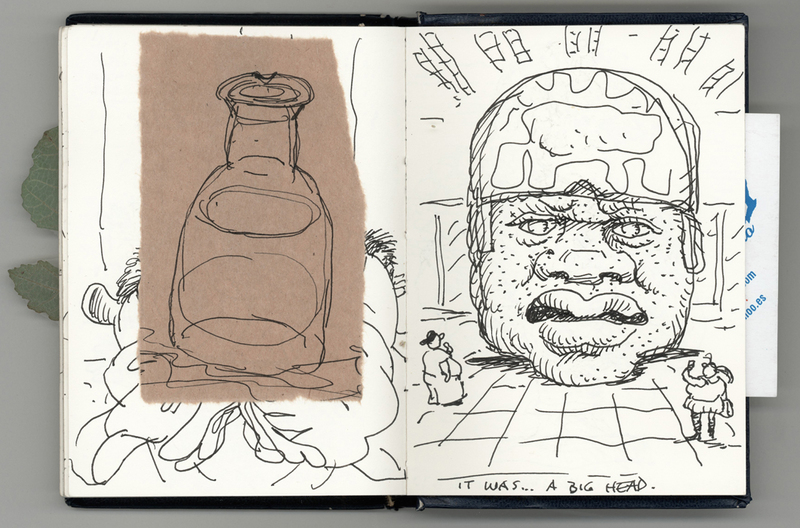 My sketch books give me the freedom to make mistakes, to do lousy drawings, to write dumb ideas that will never go anywhere, and so I always carry one. 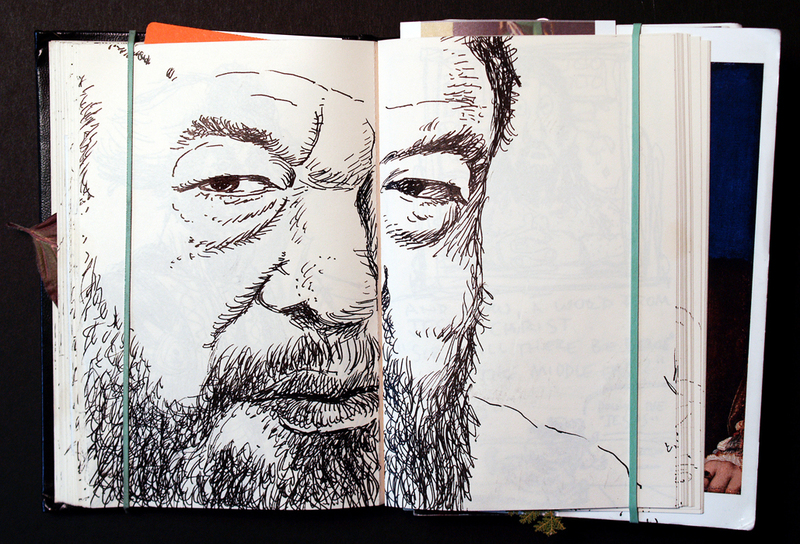 Freedom, you know, is addictive.